This chapter is concerned with loss and distress following childbirth. The first part of the chapter looks at the distressing factors associated with giving birth to a preterm baby. Maternal experiences of disempowerment and separation of the mother and baby will be discussed here. The second part of the chapter considers the additional stress factors associated with twins and multiple births. 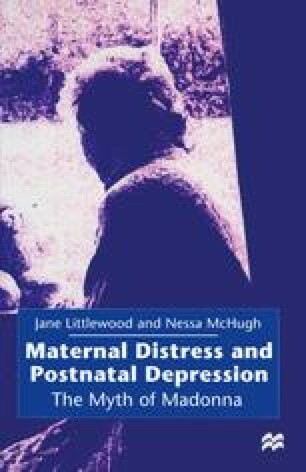 The third part of the chapter is concerned with maternal responses to giving birth to a mentally and/or physically impaired baby, whilst the fourth part deals with the long-term distress and disruption that may follow relinquishing a baby for fostering or adoption. Part five of the chapter looks at the multiple losses faced by mothers who are HIV-positive or are suffering from the acquired immune deficiency syndrome (AIDS), and the final part of the chapter introduces a general model of coping when motherhood is ‘uncertain’ (Field and Marck, 1994). This dissonance between personal knowing and expert knowing seemed to reinforce for the women that there were no guarantees, no way to make and keep everything right again, the way it was supposed to be.